Discography listing: This page will list your discography items. 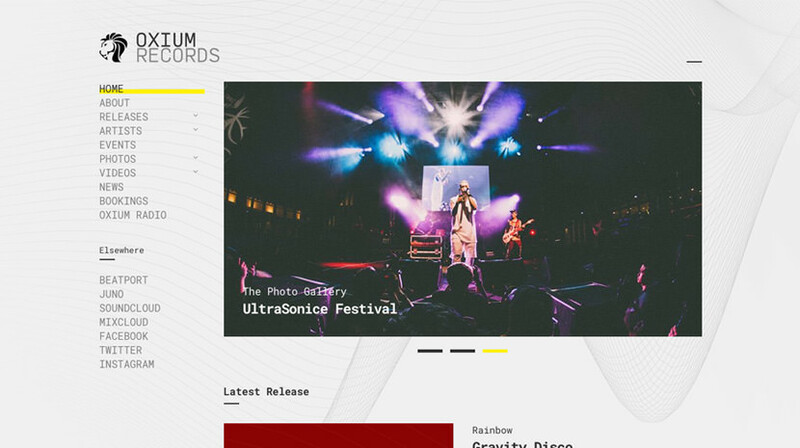 Create a new page and apply the Discography Listing template to it. From the Discography Listing Options panel that appears below the main text editor, you can select the column number for the listing page and modify the number of items displayed on the page at once. Additionally you can select a Base Category for the listing page. Meaning that you can use the template to display only one of your discography categories, instead of all of them. Artists listing: This page will list your artists. Create a new page and apply the Artists Listing template to it. From the Artists Listing Options panel that appears below the main text editor, you can select the column number for the listing page and modify the number of items displayed on the page at once. Additionally you can select a Base Category for the listing page. Meaning that you can use the template to display only one of your artist categories, instead of all of them. Events listing: This page will list your events. Create a new page and apply the Events Listing template to it. From the Events Listing Options panel that appears below the main text editor, you can toggle the appearance of future or past events and modify the number of items displayed on the page at once. Additionally you can select a Base Category for the listing page. Meaning that you can use the template to display only one of your event categories, instead of all of them. Gallery listing: In this page you will display your galleries. Create a new page and apply the Galleries Listing template to it. From the Galleries Listing Options panel that appears below the main text editor when you select the Galleries Listing template, you can select the column number for the listing page and modify the number of items displayed on the page at once. Additionally you can select a Base Category for the listing page. Meaning that you can use the template to display only one of your gallery categories, instead of all of them. Videos listing: This page will list your videos. Create a new page and apply the Videos Listing template to it. From the Videos Listing Options panel that appears below the main text editor, you can select the column number for the listing page and modify the number of items displayed on the page at once. Additionally you can select a Base Category for the listing page. Meaning that you can use the template to display only one of your gallery categories, instead of all of them. The slider on the front page is created by the Theme – Slider widget. You can access it under Customize > Widgets or Appearance > Widgets. Add the widget to the Front Page sidebar, select the slideshow speed, toggle the automatic slide functionality and press the Add Item button to add your first slide. Fill in all the required information, like title, subtitle and link URL and click the Select Image button to upload the slider image. Next click the Add Item again to add another slide. Continue as instructed and once you are done click the save button. You can add your events from Events > Add New. Start by giving the event a title. Leave the main editor empty and move lower in the Event Settings section. Here you can fill in the event’s info, details, status, location and links. Each tab provides information concerning its usage. TIP: If you leave the coordinate boxes empty the map won’t appear in the single event view. Go to Discography > Add New. Set the album title and upload the album cover in the featured image section. In the main editor you can write anything you want. You can also display the tracklisting of your album with the ability to let the users review your tracks. To do so, you are going to use the provided tracklisting system. In the Discography Settings panel you can fill in the album info, details and links. To create playlists and display your tracks on the discography items or anywhere else on your website use the AudioIgniter plugin. Go to Videos > Add New, give a title and a featured image to your video and move to the Video Settings panel. Here you can add a date, location and any other information you want for your video. In the Video URL box you will place your video URL that is hosted on one of WordPress’s supported providers. In order to create a new photo gallery go to Galleries > Add New. Give a title, a featured image to your gallery and move to the Gallery Settings panel. Here you can give your gallery a subtitle and select the number of columns. Finally click the Add Images button to upload your photos. Once you are done you can toggle with the gallery image randomization, if you want. In order to insert a new artist, go under Artists > Add New. Add the artist name as a title, upload a featured image and fill in the information you want in the text editor. In the Artist Settings panel you can fill in a subtitle for the artist i.e. Vocals, Drums etc or any other related information. When you are done, publish the item. Now that your content is in place, you will need a menu. Go to Appearance > Menus, check the pages you want on your menu and add them. Give your menu a name and save it. Finally you will need to set your menu as Main menu. This can be done either by checking the Main Menu box in Menu Settings just below your menu items in Menu Structure, or by going to the Manage Locations tab and selecting the menu you just created. The theme also features a Footer Menu which you can create and assign in the same manner. The secondary menu will appear above the main menu and to the right. Please note that the footer menu does not support sub menu items. The homepage consists exclusively widgets placed in the Front Page widgets area. The widget area of the homepage can be accessed under Appearance > Customize > Widgets or under Appearance > Widgets. A Theme – Slider widget with three slider items. A Theme – Latest Discography widget displaying the latest discography item. A Theme – Events widget displaying four upcoming events (recurring events are enabled). A Theme – Latest Galleries widget displaying two gallery items. A Theme – Latest Videos widget displaying four videos. 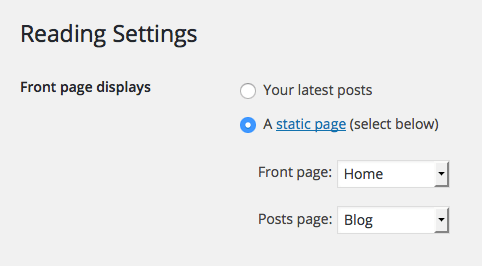 A Theme – Latest Posts widget displaying two blog posts. All widgets can be accessed from Appearance > Customize > Widgets or Appearance > Widgets. All theme customization is done via the WordPress built in Customizer. If you haven’t used it or want to learn more about it, please read this article. TIP: Any changes you make in the tabs below, will be previewed live on the website that appears in right side of the screen. However to save these changes you need to click the Save & Publish button on the top of the bar. If you have made a change but see the button grayed out (for example changed the font size of a heading), move the cursor outside the input box to the next input box. Then the button should be clickable again. From here you can configure the length of the automatic excerpt and choose between numbered and older/newer pagination. Are you looking to create your own unique color scheme? 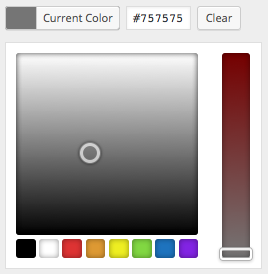 This tab allows you to modify the colors of multiple content elements. Click the Select Color button and either use a hex color value in the box or use the palette provided to select a color. Here you can fill in the URLs to the multiple social networks supported by the theme. These will appear on the footer automatically. Through this tab you can toggle various aspects of the single post, like the appearance of categories, date, comments etc. Here you can toggle the appearance of related items for each post type and also modify the section’s title. You can create and assign menus to the theme. See below for more information on how to add items to your menu. To learn more about menu creation check out the Codex menu user guide. From here you can modify the theme’s footer text. Set the Homepage created before as your static front page to take advantage of the drag & drop widget template. In this tab you have the Custom CSS panel. You can use it to insert styles for elements not covered by the rest of the tabs. Additionally you will find input boxes where you can place your Google Analytics tracking ID and Google Maps API key (if necessary). AudioIgniter: Use this free audio player plugin to create playlists and display them on the discography items or anywhere else on your website. Contact Form 7: Use this plugin to create a contact form, then copy the shortcode it generates and paste it in an empty page. WP Instagram Widget: Use this plugin to help you display your Instagram feed in any of the theme sidebars. Masonry Thumbnail: 546px width, not restricted in height.